Then we got the big news in June 2016 as they dropped the single Rest in Peace and announced their final album, which is self-titled, and world tour. The tour is technically here to promote that one album, but the reason fans packed the house at E-Max Music Zone on February 8 was really to say goodbye. And what a night it was. 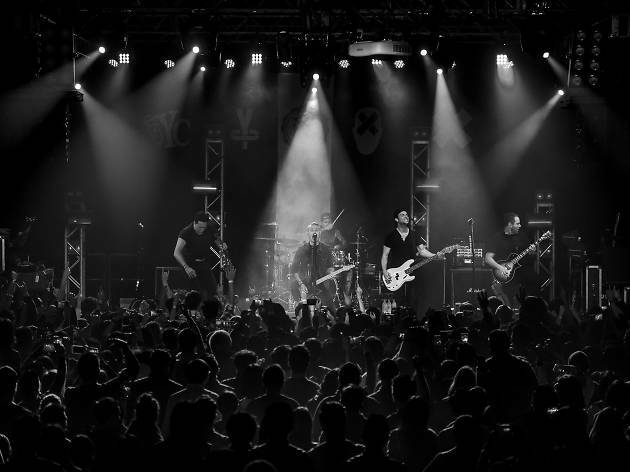 Though we personally lamented the fact that we were returning to the Music Zone instead of filling a larger venue, the house was rammed and people still rocked out hard to a setlist that can only be described as Yellowcard’s greatest hits. It had the full musical and emotional range that follows any set from the band: Paper Walls hits like Five Becomes Four and Light Up The Sky got fans on their feet, all interspersed by solo acoustic treatments like Ocean Avenue’s Empty Apartment. Arguably the highlights of the night were Sing With Me, off Southern Air, vocalist Ryan Key’s tribute to his aunt who passed away, as well as newer tracks from the new album such as lead single Rest in Peace. And of course, Yellowcard bid a tearful farewell with their final song, the one that almost everyone was waiting for but wished wouldn’t come – Ocean Avenue. Looking back at the band and their full spectrum of work, it’s tough to accept this as the band’s last tour. 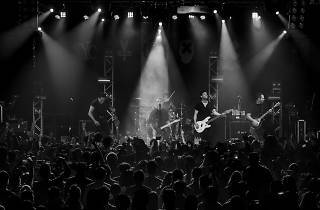 Despite Yellowcard’s brief hiatus following the release of Paper Walls in 2007, the band came back and stuck to their signature sound – Sean Mackin’s violin and all – never venturing to a safer, pop sound just to sell records. Their albums, and the consistent sound throughout all the set list this night, show us that the band has aged well and that memories are timeless. Though the band showed signs of tour fatigue – frontman Ryan Key held long notes for about half their length, and frequently looked out of breath and relieved that the crowd could sing for him at times – and this farewell reminds us that times have changed, Hong Kong is glad they got their chance to say goodbye to Yellowcard, right down to Ocean Avenue’s last hanging chord.